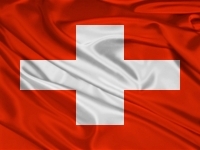 In recent years, Switzerland has attracted foreign labor for large number of industries. Switzerland expects that in the coming years there will be an increasing need for foreign labor. Many foreign nationals are free to live and work in Switzerland. However, some are required to hold a residence and work permit. The specific requirements in connection with living and working in Switzerland depend on a person's nationality and qualifications. Switzerland offers a pro-family environment for eligible visa holders who want their family and relatives to join them in this foreign country. Dependant’s eligibility and requirement to get a visa depends on the type of visa and the country you are applying for.